Linking your Instagram and Facebook accounts has a lot of advantages. You can easily post your Instagram photos to your Facebook profile. It also makes it easier for your Facebook friends to find your Instagram profile, and for you to find out which of your Facebook friends are on Instagram. If you’d rather keep the two social networks separate, you’re going to have to go through a series of simple steps on Facebook and Instagram. Go to Options and under Settings tap Linked Accounts > Facebook. On iOS, in the prompt that appears asking if you’re sure you want to disconnect your Facebook account, tap Yes, I’m Sure. If you have a Business Instagram account, you’re going to have to switch back to a personal account first. You can do this by going to Options and under Business Settings tap Switch Back to Personal Account. 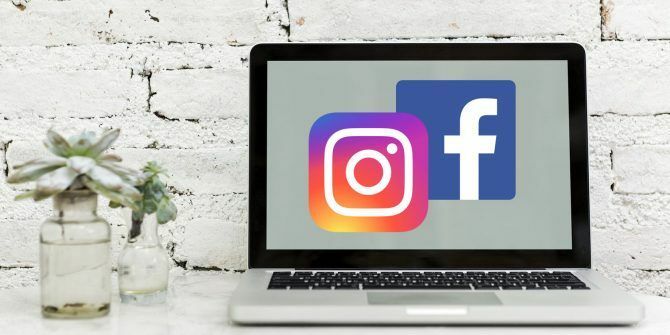 Any new posts that you share on Instagram can no longer appear on Facebook, and your Facebook friends will not be prompted to follow you on Instagram when they log into the photo sharing app. Go to Settings > Apps and if you can’t see Instagram on the list click See More. At the very bottom of the screen that opens up you should see Remove App in small type. In the window that pops up, check the box to remove all your Instagram posts that appear on your Facebook profile, and click Remove. For more tips, check out how to repost on Instagram How to Repost a Video or Picture on Instagram How to Repost a Video or Picture on Instagram There are several ways to repost content on Instagram. In this article we discuss some of those methods, as well as other issues. Read More . Do you have your Facebook and Instagram accounts connected? Are you considering unlinking the two? Let us know why in the comments. Explore more about: Facebook, Instagram, . Hi! I need to unlink a deleted instagram account from an existing facebook page. I need to link this FB page to another instagram (not the deleted one) Can you help? Thanks you for info, the only site with the solution that worked! I originally created my Instagram separate before FB started linking to Instigram. And one day i went to my page and it was gone. I was signed out of my old account. And i had tried to access it from the app. I think linking the two isn't a good idea. If something happens to one then both could be compromised. Any idea how to disconnect an IG account that's been deleted BEFORE disconnected from a FB Biz page? The IG account doesn't exist anymore, but FB still has it attached BUT doesn't show up inside FB like your post outlines. There's no way to "login" to the old IG account, b/c it doesn't exist. Can't connect a NEW IG account, b/c I get an error message saying, "this FB page is already linked to an account". I can't get any help for this matter and it's driving me nuts. Thanks for reading! It's truly a great and helpful piece of information. I'm happy that you simply shared this helpful info with us. Please keep us informed like this. Thanks for sharing. Quality articles or reviews is the crucial to interest the people to go to see the website, that's what this web page is providing. fantastic points altogether, you just won a logo new reader. What would you suggest in regards to your submit that you made a few days ago? Any positive?